~Mrs. Mathis' Homeroom~: August Facebook Frenzy...The Countdown is On! 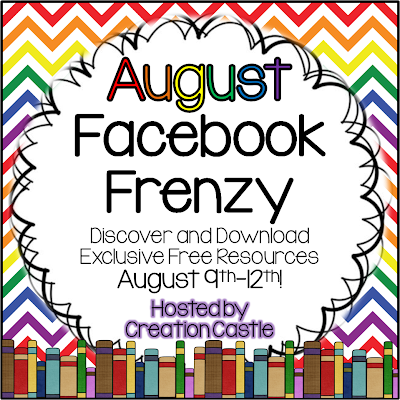 August Facebook Frenzy...The Countdown is On! Many many thanks to Heather from Creation Castle for organizing and hosting this fun party every month! Everybody from everywhere seems to have an FB account.